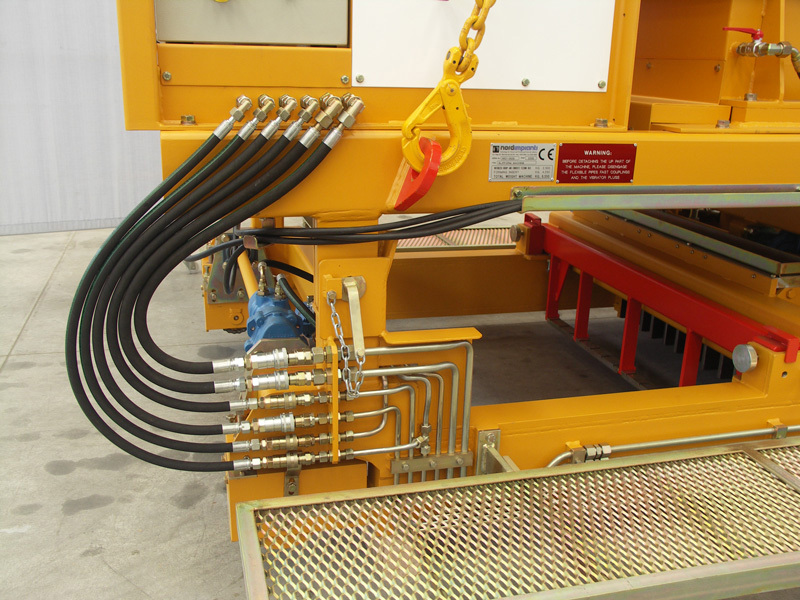 The SF Slipformer for Inverted double T beams is available for the production of elements with widths from 800 mm to 1200 mm and heights from 500mm to 1000mm. 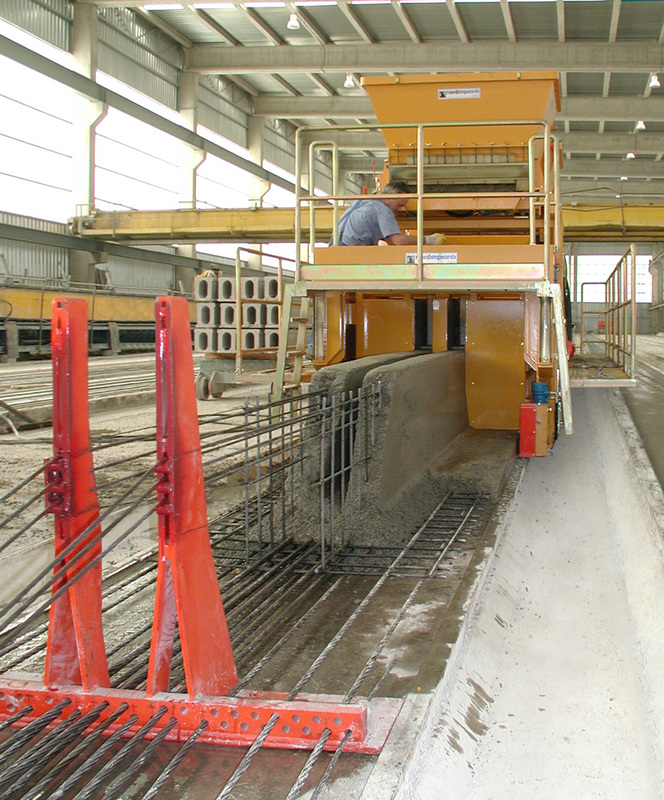 The lower part of the machine consists of two units, a universal frame and a specific forming insert for the production of the Inverted double T beams. 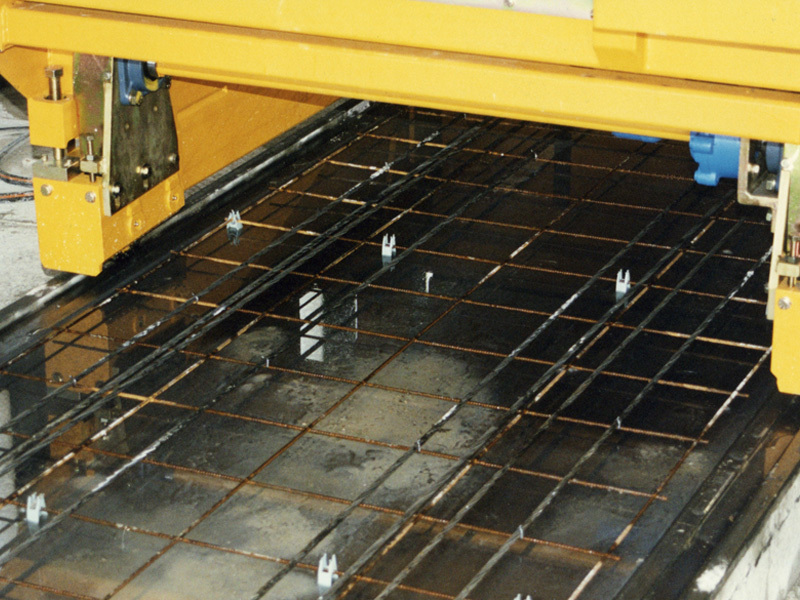 In order to achieve a high degree of production flexibility the universal frame can be used, not only with the Inverted double T beam insert but also with the SF1000 forming insert for the production of hollow core slabs with heights from 500 mm to 1000 mm. 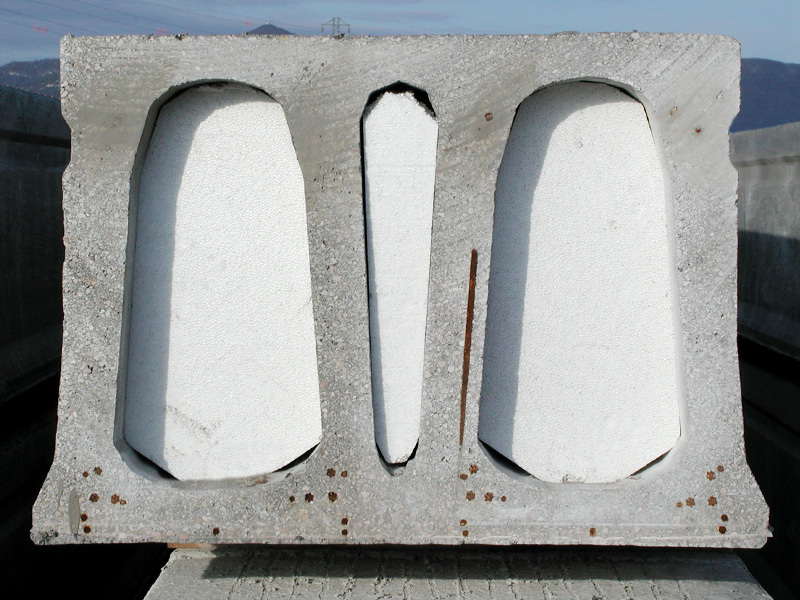 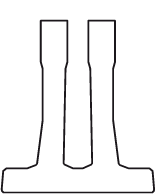 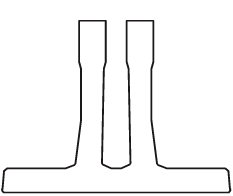 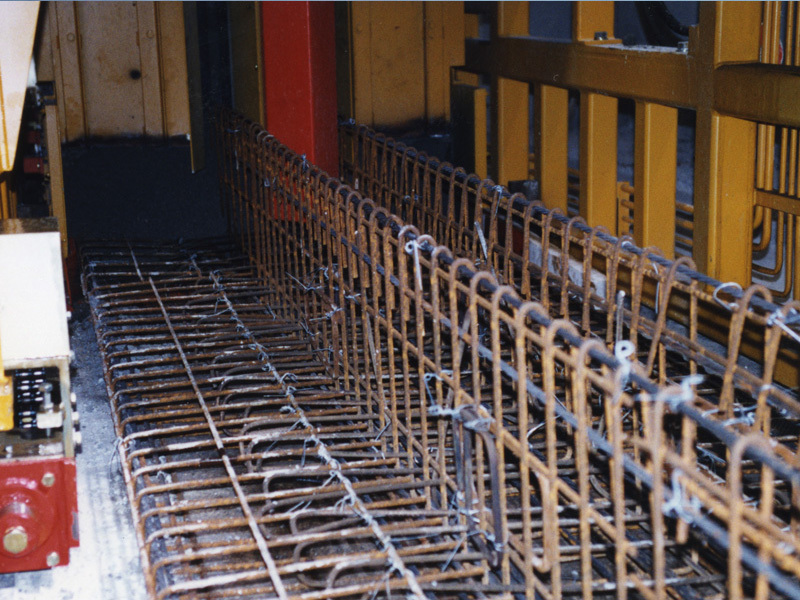 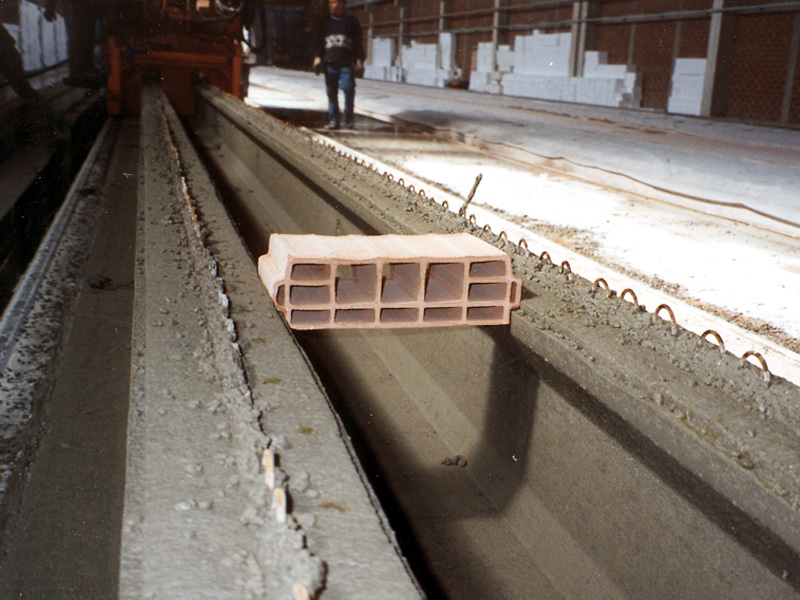 The Forming Insert for the Inverted double T beam is equipped with two concrete feeders (one front and one rear) to ensure the correct supply of concrete during element casting. 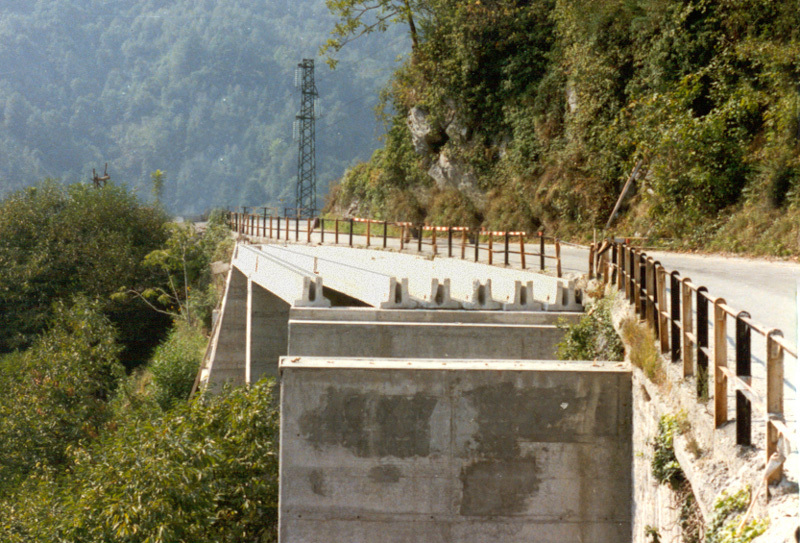 The lower part of the Inverted Double T-Beam as well as the vertical ribs are reinforced with prestressed cables and steel mesh or stirrups for rigidity.